Extreame Savings Item! Save 41% on the Sienna Lighted Faceted Multicolored Bethlehem Star Christmas Tree Topper with Clear Lights, 11'' by Sienna at Two Clock. MPN: 31082225. Hurry! Limited time offer. Offer valid only while supplies last. 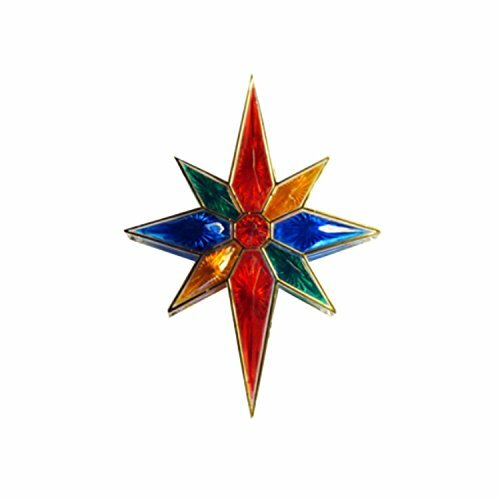 Multi-color star tree topper features etched star-bursts surrounded by gold trim. Features: Color: clear bulbs / green wire. Number of bulbs: 11.